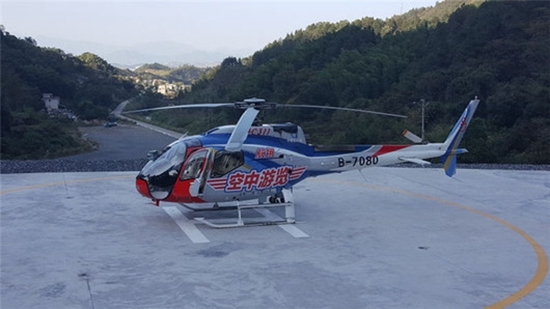 1.Route one: Helicopter seat price 880 yuan, flight distance of about 10 km. 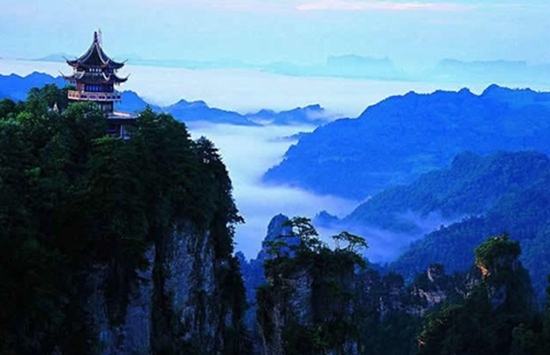 Route attractions: Zhangjiajie airport, overlooking the fairy Creek reservoir. 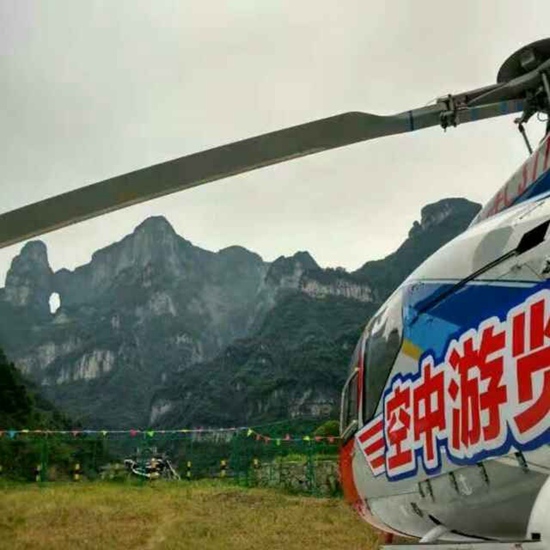 Experiencing the sensation of flying helicopter flexible performance, the fairy Creek Reservoir overlooking the city of Zhangjiajie and Zhangjiajie Hehua Airport, overlooking the panorama of quiet, takes about 8 minutes. 2.Route two (East): helicopter seat price 1580 yuan, flight distance of about 18 km. 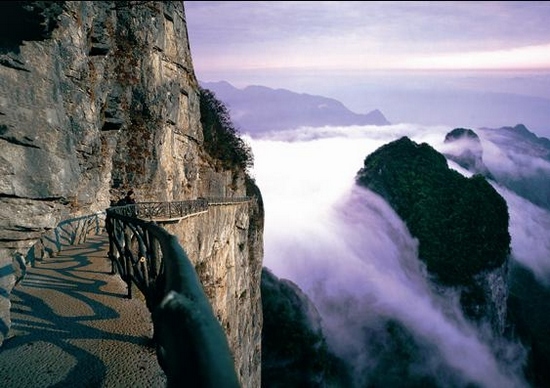 Route attractions: Tianmenshan Mountain Valley, Tianmen cave, plank road, East Tianmen cave ninety-nine bends. 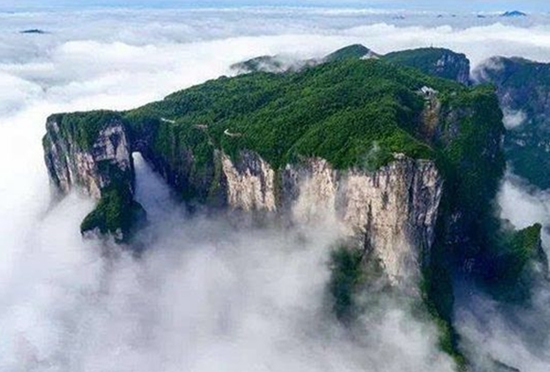 A unique perspective to experience the Tianmenshan Mountain canyon with your sense of difference, overlooking Tianmen cave, near the East km cliff path along the cliff, feel the magic of Babel Avenue ninety-nine bends, reach heaven. From the ground directly into the embrace of the original sky garden, like the magic of the air flying immortal experience. The whole journey is about 13 minutes (recommended morning tour). 3.Route three (West): helicopter seat price 1580 yuan, flight distance of about 18 km. 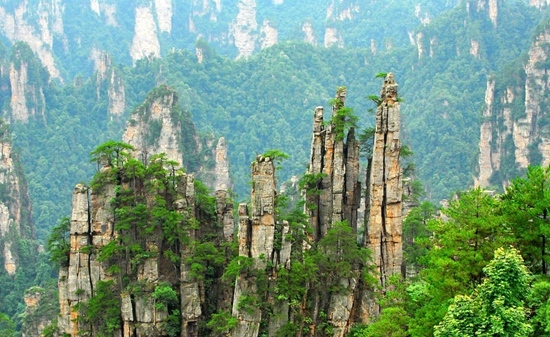 Route attractions: Fairy Creek Reservoir,TaiwanIsland, Tianmenshan Mountain, cableway Tianmen cave, ninety-nine bends. Note: the far view of Zhangjiajie City, Zhangjiajie Hehua Airport, overlooking the tranquil fairy Creek Reservoir, small Taiwan Island, overlooking Tianmen cave, Tianmenshan Mountain cableway (the world's longest single cycle cableway) ninety-nine bends, enjoy the avenue of Babel magic, takes about 13 minutes (recommended afternoon tour). 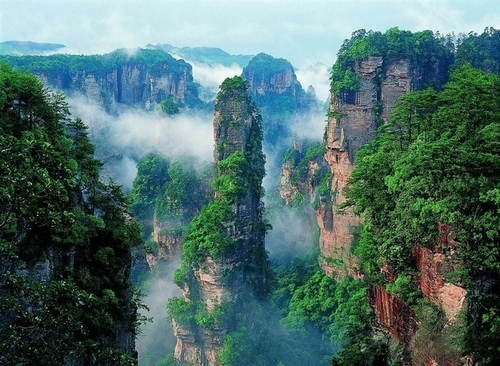 4.Route four (Tianmenshan Mountain panorama): helicopter seat price 1880 yuan, flight distance of about 20 km. 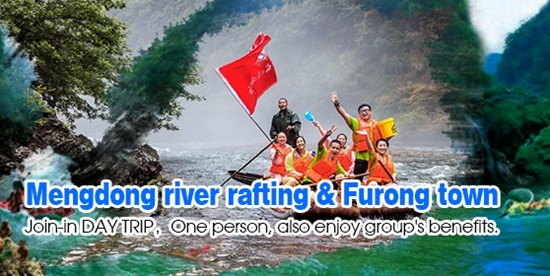 Route attractions: Tianmenshan Mountain Valley, Tianmen cave, East Road, Tianmenshan Mountain, Yunmeng Xian Temple monk brain, top, GUI (glass plank, plank road) wing mounted flight platform, "Taiwanisland", the Tianmenshan Mountain cableway, ninety-nine bends. 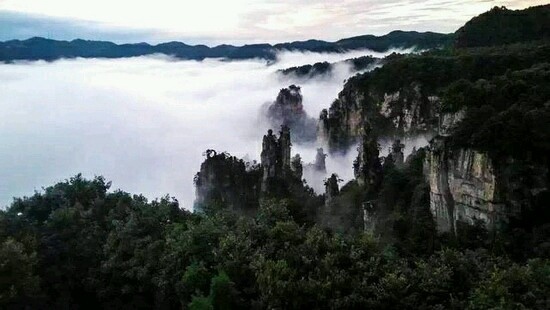 Description: Enjoy the Tianmenshan Mountain Valley, a unique perspective from the air of Tianmen cave, overlooking the quiet sky Tianmenshan Mountain temple, monk brain, Yunmeng Xian top, overlooking the cliffs Maninsan hanging on the GUI (glass plank, plank road) wing mounted flight platform, Tianmen little Taiwan island and the avenue of Babel ninety-nine bends, the whole about 16 minutes. 5.Route five (Tour route): helicopter seat price 5880 yuan, flight distance of about 80 km. 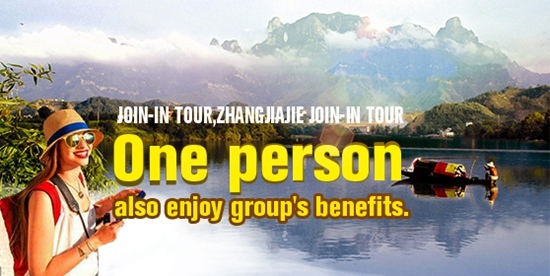 Route attractions: Wulingyuan tour center view, Huangshi village, yangjiajie, yuanjiajie, ten galleries, tianzishan. Description: Air tour ZJJ Wulingyuan center view, the air overlooking the Huangshi village, Yangjiajie, Yuanjiajie, ten galleries,Tianzishan,takes about 30 minutes. Above route one to five, according to passenger trips sales, adult, children, the elderly uniform fare. Children under the age of 14 are advised parents to accompany the opportunity, there are special diseases, please consult the reservation department. 2.Above all the route according to the person time calculation. 3.The whole time: refers to the start of the helicopter rotor rotation to the floor off the car. Zhangjiajie Tianmenshan National Forest Park North Gate parking lot (Heliport). 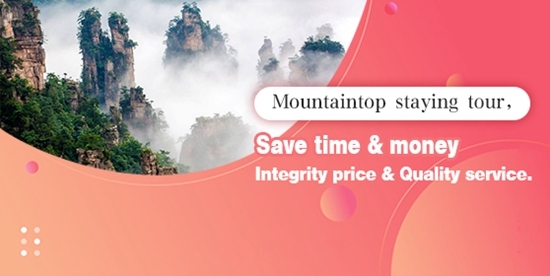 Please contact with our company after payment, clear the opportunity to date, phone number and route, before the guests check in with our company to complete the ticket settlement. The final explanation belongs to our company! 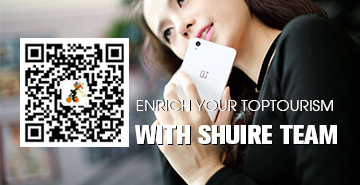 If there is adjustment, our company will inform you one week in advance.